Head up to 3rd and 39th to find this fantastic sports bar which will be crammed with Baltimore Raven’s fans on Super Bowl Sunday. Just make sure you get there early because every Raven fan in the city will be trying to get in. This Union Square bar is perfect for watching the Ravens and serves as the host of a weekly meetup for Raven fans. If you forget to wear purple next week, you’ll probably stand out. For some time now, we at Gray Line New York have been trying to figure out why there is no twitter chat about New York City. We’ve been wondering why there isn’t a place dedicated to thoughtful, educational and engaging conversation about the greatest city in the world. We believe that this kind of open discussion on twitter is essential to the New York City community, to travelers anticipating a trip to our great town, and to NYC itself. Up until now, there has been no hashtag chat devoted to the incredible world of New York City travel, but that is changing. We have decided to take it upon ourselves to start this conversation and a proud to announce that starting next week (1/31), every Thursday at 3:30 Gray Line New York will be hosting #GLNYchat; a hashtag chat on twitter dedicated to all aspects of the New York City travel world. We will tweet 6 opinion-based questions during the chat, one every 10 minutes. After 10 minutes of chatting, we move onto the next question. Once we get through all 6 questions, we open up discussion on what we all want next week’s topic to be. This way the community dictates what we talk about. That last bullet point is key, because this chat is for you, traveler coming to NYC next summer, and you, NYC resident, and you, cousin of the college roommate of the guy who went to New York that one time. Despite what the name may imply, this isn’t going to be about Gray Line New York. #GLNYchat is going to be for and about the people who make New York City the greatest city in the world. 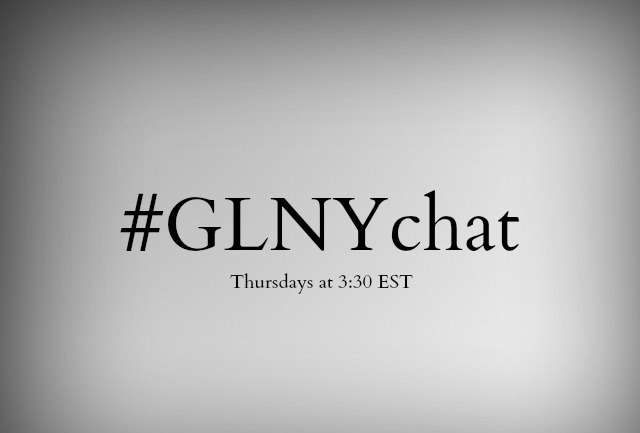 So next Thursday at 3:30, join us on twitter by following the hashtag #GLNYchat, and let’s see if we can make this into something great. 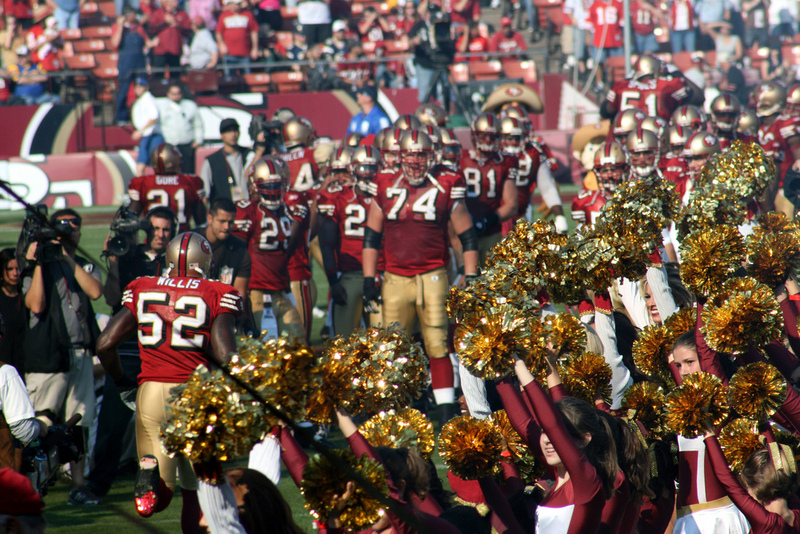 Hibernia isn’t a Niners bar, but you certainly won’t find any Ravens fans here on Sunday. As the Unofficial Steelers bar of NYC, this crown may be rooting for San Francisco even harder than the group at Finnerty’s. Far too often, Off Broadway shows are lost in the shuffle. People come far and wide to New York City to see the bursting lights of Broadway, but strangely look down upon those shows with the Off-Broadway label. Those poor souls, they don’t know what they’re missing. You can bring the whole family to see The Berenstain Bears in Family Matters, the Musical, or maybe take in the awesome visual display that is Blue Man Group. Avenue Q might be the funniest show in all of New York City, and that includes those Broadway hits. Just because a show is considered Off-Broadway, it doesn’t mean that it is inferior in quality. What’s the best part about Off Broadway shows in NYC, you ask? It’s that beginning next week (1/28), you can see 37 different Off Broadway for half price as part of Off Broadway Week! For more information on this incredible buy-one, get-one deal, check out NYC & Company’s official Off Broadway Week website where you can purchase all of your tickets. Off Broadway Week begins on January 28 and runs through February 10. Tickets are on sale for show now, so get them before it’s too late! There’s just something about a hot, spicy cup of chili that makes even the coldest days of January a remarkable treat. 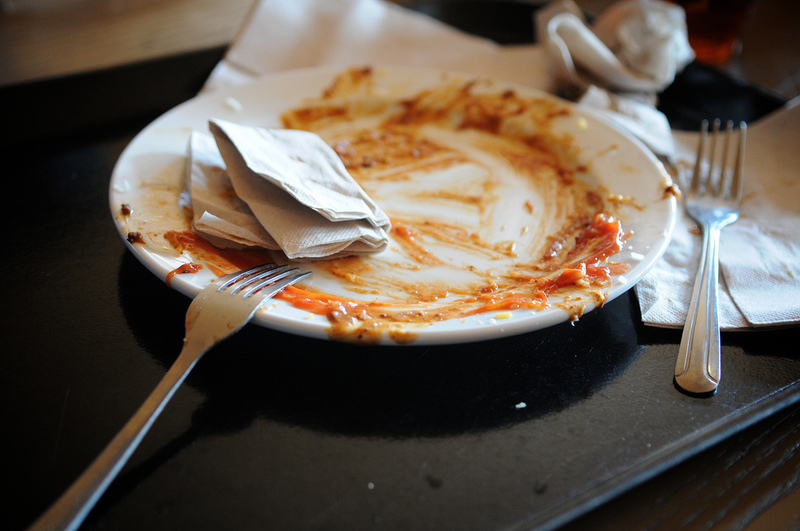 And if you think there is no better way to celebrate the delicious dish than by eating unlimited amounts of chili and drinking an equal amount beer on a Sunday afternoon, than you’re in luck. I present to you NYCChiliFest 2013: The ultimate celebration of chili, beer, and all things spicy! On Sunday, January 27, dozens of the best chefs in New York will be competing for the elusive Golden Chili Mug 2013, and you get to test out all of the chili, yourself. A panel of celebrity judges will ultimately determine the winner, but your ticket will entitle you to all of the chili, Sam Adams beer (specially selected beers that go well with chili), and music that you can consume. All of the proceeds from NYCChiliFest 2013 will go to the Food Systems Network NYC, which means that while grinding away at the chili, you will also be celebrating a good cause! It doesn’t get much better than that. Tickets are on sale now and will NOT be sold at Chelsea Market the day of the event. The Chili will be made by some of our favorite restaurants in NYC, including Wichcraft NYC, Jimmy’s No. 43, East Village Social and more. 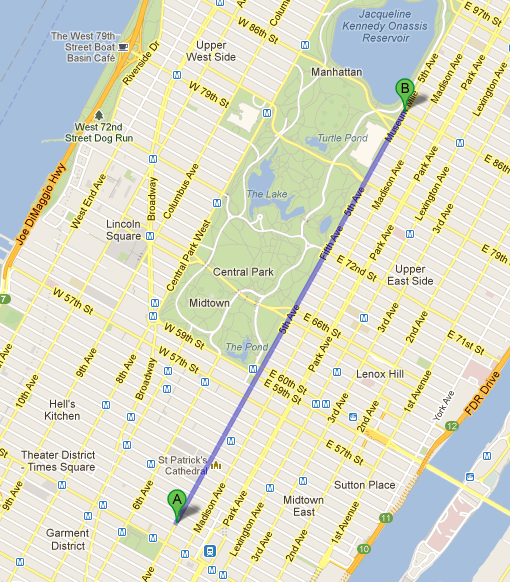 If you’re enjoying the Downtown Loop on Sunday, hop off at the Union Square stop and walk east for Chelsea Market. It may be hard to believe, but St. Patrick’s Day is just two months away. We’re two months from the bagpipers walking up 5th avenue, two months from seeing green on every street corner, and just two months from Irishmen across the city enjoying pints of Guinness at their local pub. What a wonderful time of year. The highlight of St. Patrick’s Day in New York City is the parade, and the 2013 St. Patrick’s Day parade is sure to thrill all. The best part is, the route is the same as last year and the year before that. 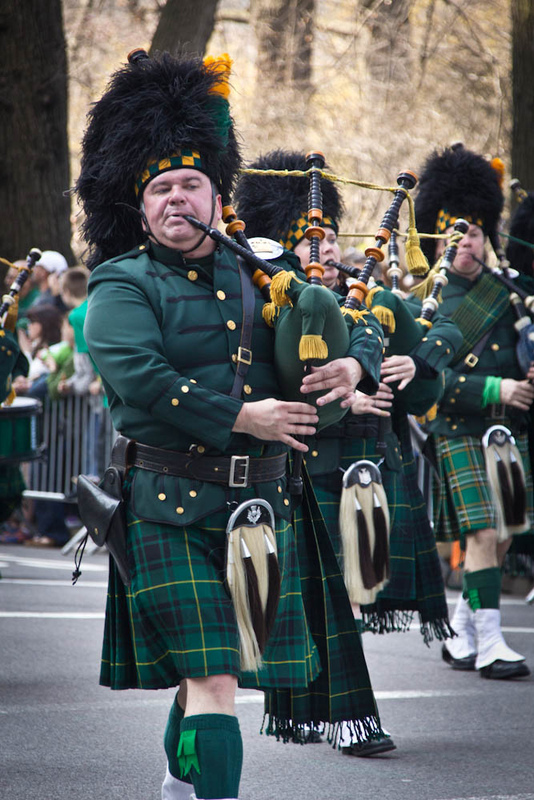 The St. Patrick’s Day Parade will begin on 44th Street and 5th Avenue in Midtown and travel straight uptown past St. Patrick’s Cathedral, Rockefeller Center and the Metropolitan Museum of Art to 86th street. That’s it. No twists or turns, just the simplest parade route of any NYC holiday. Because everyone’s Irish on March 17th.